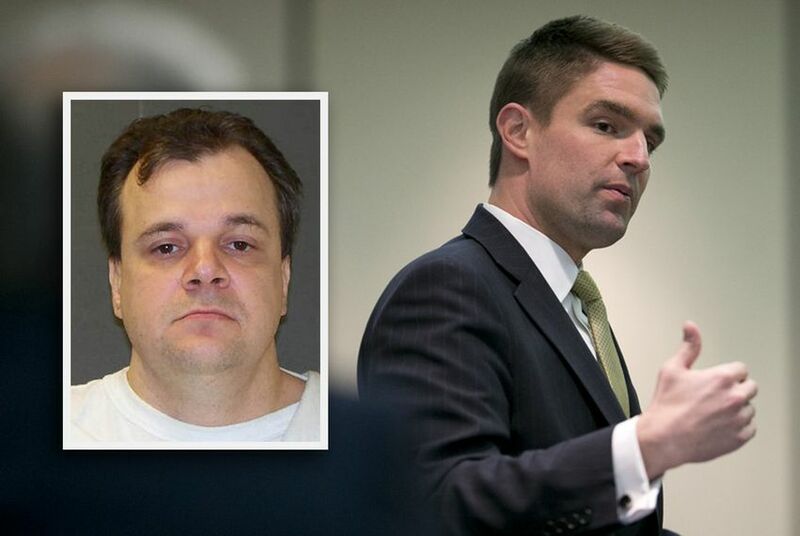 It’s not often that a staunch conservative loses sleep over imposition of the death penalty, but state Rep. Jeff Leach, R-Plano, says he is up nights over the impending execution of Jeff Wood. The two-term legislator has spent the past week poring over court documents and speaking with the governor’s office and Texas Board of Pardons and Paroles, hoping to prevent what would be the state’s seventh execution of the year. Wood is set to die by lethal injection Aug. 24. In the early morning of Jan. 2, 1996, Wood sat in a truck outside a Kerrville gas station while his friend, Daniel Reneau, went inside to steal a safe said to be full from the holiday weekend, according to court documents. When the clerk, Kriss Keeran, didn’t comply or respond to threats, Reneau shot him dead. Reneau was sentenced to death and executed in 2002. Wood received his own death sentence under Texas’ felony murder statute, commonly known as the law of parties, which holds that anyone involved in a crime resulting in death is equally responsible, even if they weren't directly involved in the actual killing. According to Nadia Mireles, Wood’s then-girlfriend, Wood told Reneau to leave his gun at home the morning of the murder. She said Reneau put the gun down but picked it back up when Wood left the room. Her testimony was not included in Wood’s trial, but it was in Reneau's. Leach, who ranks among the most conservative Republicans in the House, is for the death penalty in the most heinous cases, he said. And he believes in the death penalty under the law of parties in cases where the accomplice was clearly involved in the murder. But when he came across Wood’s case during his work for the House Criminal Jurisprudence Committee, it didn’t seem right. Now, Leach is trying to use his voice as a lawmaker to stop the execution and change Wood’s sentence from death to life in prison. He’s spoken with Gov. Greg Abbott's office and the parole board and hopes to convince other legislators to send letters to the two before the board takes up the case on Monday, he said. If the parole board votes to recommend that Wood's sentence be changed, Abbott can accept or reject that recommendation. Without the board's recommendation, the most Abbott can do is issue a one-time, 30-day delay of execution. “This is the reason we have this final step by the Constitution to provide the governor the right to commute a sentence,” Leach said, adding that he would ultimately respect whatever choice the board and Abbott make. Abbott's office declined to comment for this story. The parole board has previously said it could not comment on Wood’s clemency petition. In a 2008 petition, the parole board and then-Gov. Rick Perry declined to commute Wood’s sentence. Leach isn’t the only one working to stop Wood’s death. Anti-death penalty activists and Wood supporters have protested the upcoming execution at the governor’s mansion and plan to deliver a petition tomorrow signed by thousands pleading for Abbott and the parole board to change Wood’s sentence, according to Scott Cobb of the Texas Moratorium Network. Nearly 50 evangelical leaders from around the country sent a letter asking Abbott and the parole board to stop the execution. Wood’s lawyers are busy, too. A new appeal was filed in state district court and the state Court of Criminal Appeals for a new sentencing hearing, citing many of the reasons which swayed Leach — questionable expert testimony, mental competence issues and regretful jurors. The Kerr County District Attorney’s Office did not return calls about the case. What — if any — legislation may come out of Wood’s case is uncertain; Leach said thinking of that is the next step. “Right now we’re looking back, and we’re trying to right an already existing wrong,” he said. Jeff Wood was outside in a pickup when his partner killed a Kerrville convenience store clerk during a robbery in 1996. But Wood was sentenced to death under Texas' felony murder statute, commonly known as the law of parties. His family and attorneys are now desperately trying to save him from an Aug. 24 execution date. Here is a look at the 244 inmates currently on Texas' death row. Texas, which reinstated the death penalty in 1976, has the most active execution chamber in the nation.